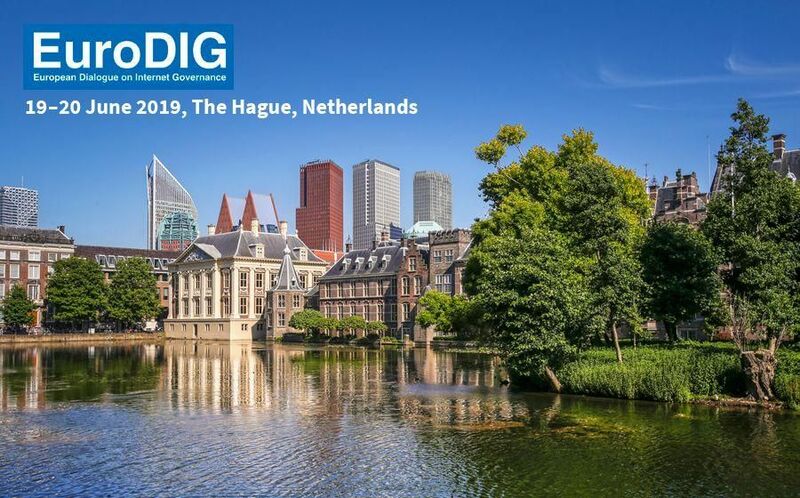 The European Dialogue on Internet Governance (EuroDIG) 2019 is being held 19 and 20 June next year in The Hague. Until 30 November, you can submit issues corresponding to one of the eight fields found below, amongst others security and crime. Issues can be submitted before 30 November 2018. The European Dialogue on Internet Governance (EuroDIG) is an open multi-stakeholder platform to exchange views about the Internet and how it is governed. Created in 2008 by several organisations, government representatives and experts, it fosters dialogue and collaboration with the Internet community on public policy for the Internet. This culminated in a conference that takes place in a different European city each year. The next EuroDIG will take place in The Hague, The Netherlands from 19-20 June 2019 (with a day zero of pre-events). It will be hosted by the Ministry of Economic Affairs and Climate Policy of the Netherlands in cooperation with ECP – Netherlands Platform for the Information Society, the Municipality of The Hague and SIDN – the .nl domain registry. For more information on the Call for Issues, visit the original article here. Further information of the 2019 EuroDIG event can be found by following this link.